Melissa McCarthy rose to fame as a plus-sized actress and comedian. Forbes named her the second highest-paid actress in the world for 2016 by earning $33 million this year. She previously starred as Sookie St. James in the Gilmore Girls and Molly Flynn in the Emmy Award-winning Mike & Molly sitcom. The Ghostbusters star once weighed over 236 pounds. However, the 46-year-old has been on a miraculous weight loss journey, and since 2013, she has made very positive health changes. As a result, she’s dropped from a size 28 to 14 and has lost over 75 pounds in total weight. 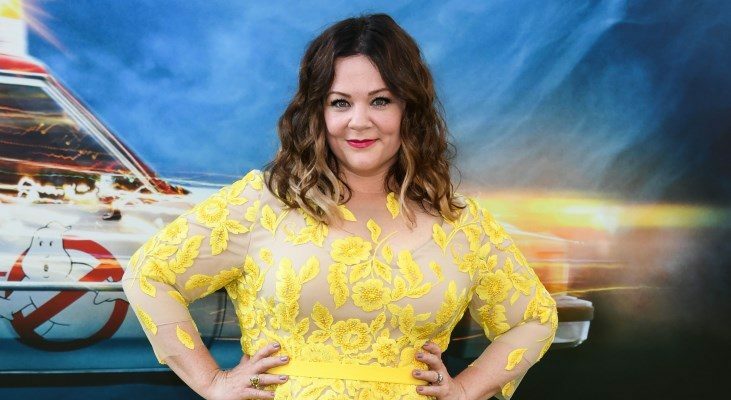 McCarthy showed up at the Ghostbusters ‘reboot’ world premiere in Los Angeles this year looking better than ever in a gorgeous yellow dress. What is Melissa McCarthy’s weight loss secret? McCarthy jokes that the secret is a super-boring life where you go to bed at 7:30 p.m. That being said, going to sleep early decreases the likelihood you will head to kitchen for a midnight snack. Sleep quality and quantity both contribute to weight loss in overweight or obese adult women, according to a study published in the journal Obesity in 2012. Overall, Melissa McCarthy credits her over 75-pound weight loss to a fabulous weight loss diet and a great workout plan. Let’s take a look at Melissa McCarthy’s weight loss tools. What was Melissa McCarthy’s weight loss diet? McCarthy credits a low-carb, high-fat, and high-protein diet for her weight loss. Low-carb and high-protein diets include the Atkins, Paleo, Zone, and ketogenic diets. These diets boost metabolism, suppress appetite, reduce inflammation, increase muscle mass, and reduce the risk of type 2 diabetes. McCarthy’s diet keeps her insulin levels low for 12 straight hours. McCarthy has been eating lots of fiber and nutrient-rich vegetables, fruits, nut butters, and nuts. These foods boost her metabolism and keep her feeling full. McCarthy also makes a habit of drinking water with lemon. She also consumes lots of healthy protein sources like wild fish, turkey, egg whites from organic eggs, grilled chicken, and grass-fed beef. What is her daily weight loss diet? For breakfast, McCarthy consumes four scrambled egg whites with grilled chicken and a cup of mixed veggies. She also eats a green smoothie with almond milk, spinach, apple, chia seeds, and kale. For a snack around 11 a.m., she has wild cod with steamed broccoli and a cup of green tea. Lunch includes grilled chicken breast, a quinoa blend with carrots, celery, and red peppers, and some green tea. Dinner is steamed veggies and grass-fed beef with half an avocado. As a snack after dinner, she might eat some raw almonds and ground turkey with hot sauce. Melissa McCarthy’s weight loss program also included high-intensity interval-training (HIIT). Instead of running on a treadmill, Melissa McCarthy’s trainer had her perform exercises she really enjoyed. For instance, McCarthy would do 30 minutes of martial arts and 10 minutes on the rowing machine. Her full-body resistance training included wall sits, jumping jacks, body weight squats, reverse crunches, and lower back extensions. Another workout session had McCarthy do burpees for 10 minutes straight. She also skipped rope for 10 minutes, once per week. Many likely wondered how Melissa McCarthy lost her weight, but no one is wondering now! It is clear that McCarthy is committed to her weight loss after dropping over 75 pounds with a low-carb diet and high-intensity interval-training exercise plan. Thomson, C.A., et al., “Relationship between sleep quality and quantity and weight loss in women participating in a weight-loss intervention trial,” Obesity, 2012, doi: 10.1038/oby.2012.62.